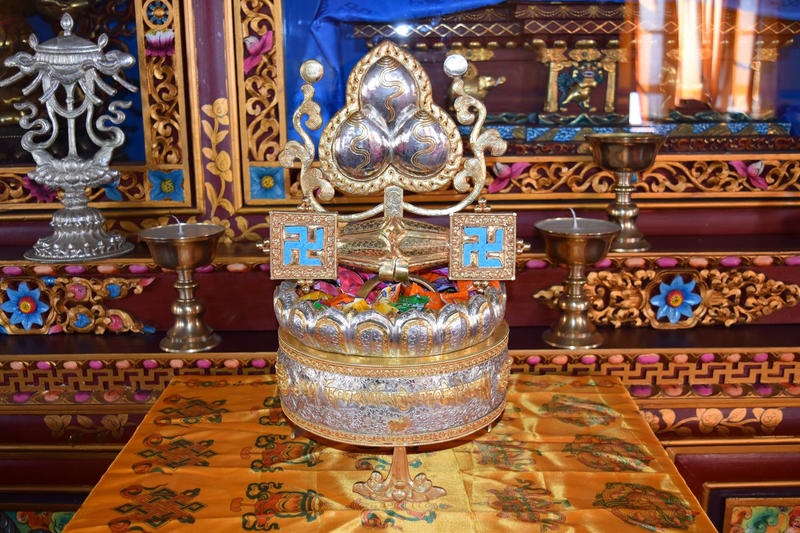 Special mandala offering with chakshing and flaming jewels presented to HH 33rd Menri Trizen Rinpoche and HE Yongdzin Tenzin Namdak Rinpoche in 2016 by the Worldwide Yungdrung Bon community. Posted on January 8, 2017, in Iconography, Uncategorized. Bookmark the permalink. Leave a comment.